Taylor Swift’s Spotify payout turns out to be much less than the streaming service led people to believe earlier this week. TIME Magazine reports that Swift earned $US2 million from streaming her songs over the past year. That’s the global figure Spotify gave TIME — but Swift’s record label said the domestic streaming payout from the past year was much lower at $US500,000. 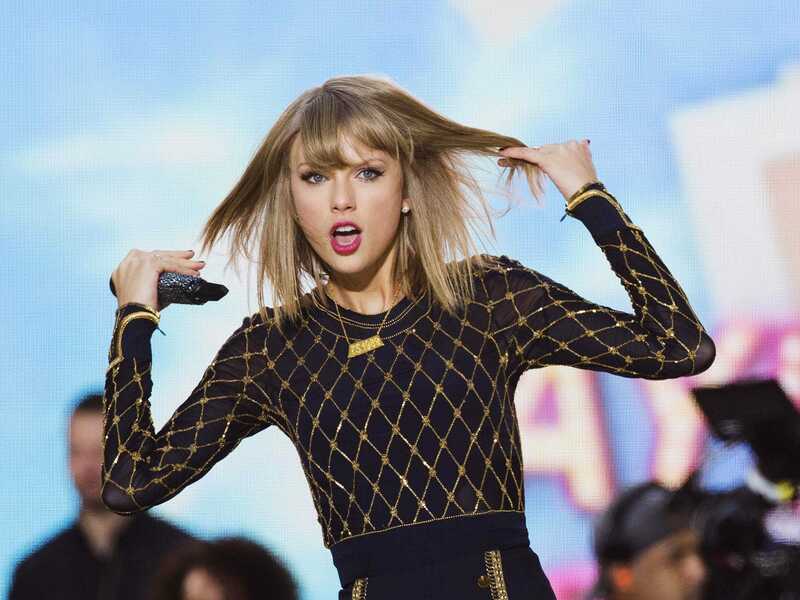 In comparison, Swift’s new album “1989” is expected to net about $US12 million in gross sales in its first week. The $US2 million figure is also significantly less than the $US6 million Spotify CEO Daniel Ek claimed top artists would pull in over the next year. Spotify factored its growth projections into that number, but it still seems a bit far-fetched considering that Swift’s label earned only $US2 million in the past year from streaming. And that figure doesn’t appear to be the amount Swift personally earned for the streaming rights — it’s just the amount that was paid to Swift’s label Big Machine. Swift has become the center of a discussion over whether Spotify pays artists enough for the rights to stream their music. This issue of artist pay resurfaced last week when Taylor Swift pulled her entire catalogue of music from Spotify after refusing to put her new hit album “1989” on the service. Swift has said that artists need to protect their work and value it appropriately. Part of the problem is that the amount of money Spotify pays labels is greater than what the artists themselves see from allowing their music to be streamed. Last month, Jimmy Buffett complained that artists who streamed their music on Spotify are “at the end of the pipeline” when it comes to the money Spotify pays labels for permission to stream albums. And the money Spotify pays labels, while totaling a reported 70% of the company’s revenue, averages less than a penny per play. Borchetta doesn’t believe that Spotify is a boon to the industry. About 25% of Spotify’s 50 million active users pay for the service. Spotify premium subscribers pay about $US120 per year for the service.